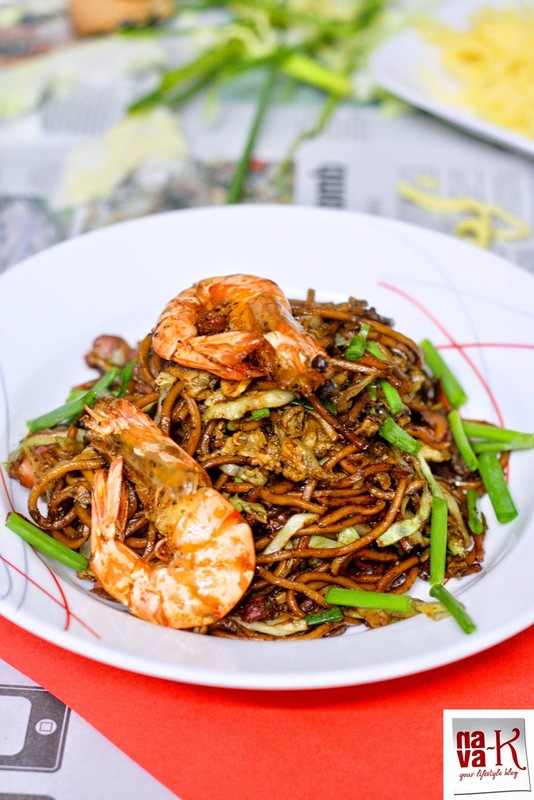 Mee Goreng Udang, or prawn fried mee. The frying technic which by far is not a brain cracker, but when we speak about frying noodles on the whole, we must have all the ingredients on stand by and as close to us possibly. Otherwise? We may end up over-cooking the ingredients we have already put in the big wok and then, it can turn out to be a disaster or we ending up stressing ourselves, and let's not forget about sweating when frying. Of course. 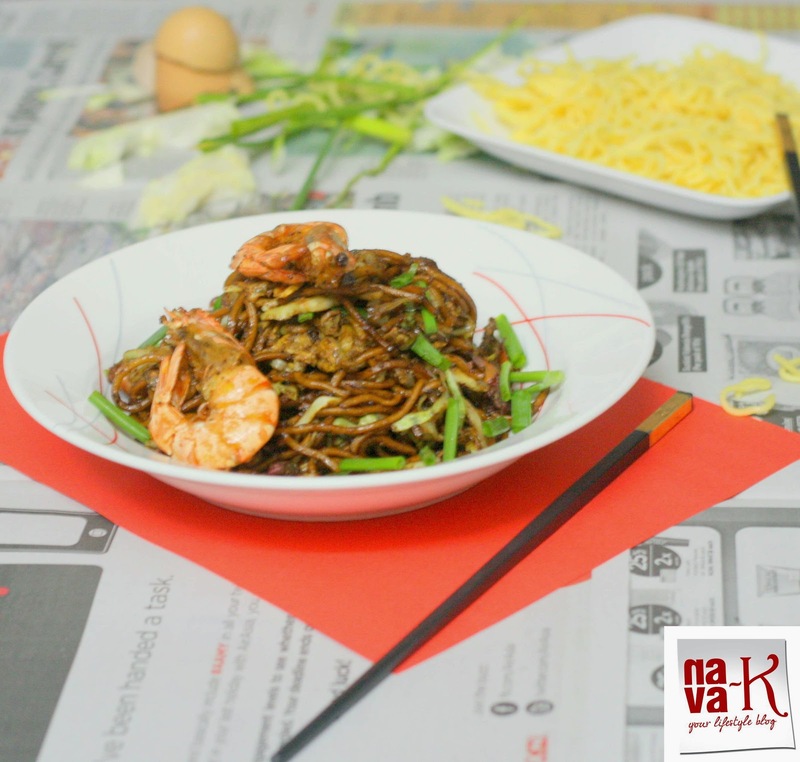 Ask me about sweating and I can go on and on (Malaysian Style Fried Mee Hoon, Hakka Noodles, Chow Mein & Hokkien Mee & Char Kway Teow). That's about it I think the cooking tips for Mee Goreng Udang which is definitely another one of our Malaysian food show stealer. Noodles fried alongside prawns (Hokkien Hae Mee, Shrimp Pad Thai & Shrimp Pho), cabbage, eggs, garlic, spring onion and soy sauce (Nyonya Mee Siam, Malaysian Sour Spicy Fish Soup Noodles, Mee Rebus, Laksam Kelantan & Malaysian Fried Mee). 200g (about 2 1/2 cups) yellow mee/noodles - lightly blanch in hot water and rinse with cold water. 4 pcs (or as you prefer) medium size prawns - remove veins, trim the heads but keep everything else intact. Mix prawns with a little salt and pepper. Heat oil and when heated, fry prawns till crispy and cooked. Add noodles/mee and cabbage, season with soy sauce, salt and pepper. Push mee aside and and break eggs in the centre of the wok. (Note: if needed, pour some oil). Gently stir and fold together with the rest of the ingredients. Off the heat and quickly stir in spring onion. 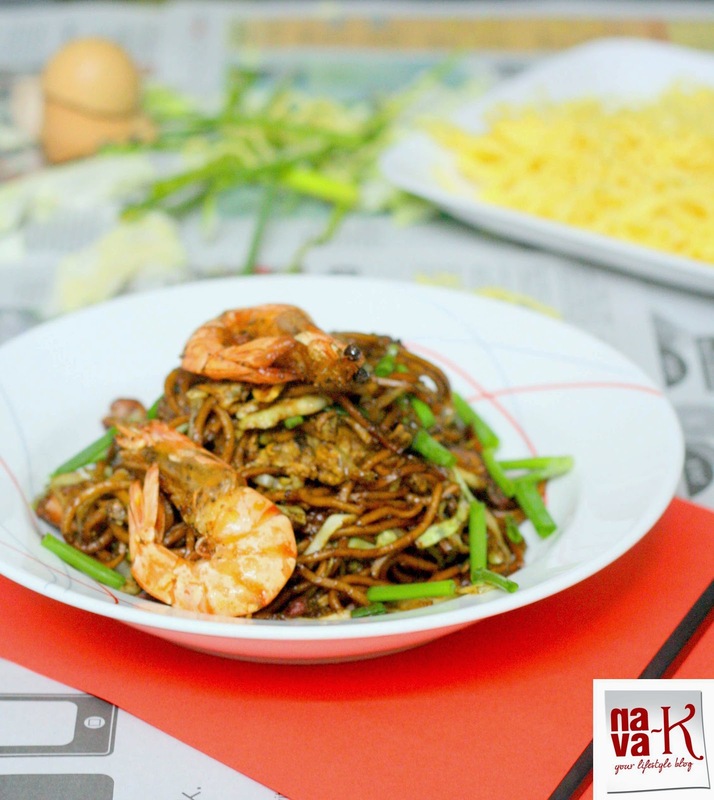 I'm so tempted to try this..looks super delicious..
Wow, Prawns with Mee........Great Combo. Usually prawns cooked soft, Here Crunchy : Like the twist. somehow i got familiar with mee word ...I got to know mee is very famous and mee is the dish you really like and its a noodles ? No word. I am drooling. Would love to have some now..
Love the way the prawns are added. Great-looking dish! I can understand how frustrating it can get.. I think you are doing a great job juggling your full time work, home and blogging. Take care.. The fried prawn mee must have tasted great.. This is another stunner. I am willing to swap my chicken roast dinner for this one. Blogging can really get tiresome. Not that we don't enjoy it every day, it takes up so much time on account of the number of activities involved. So many days I can't think of a single line to start with and the mind goes blank. But overall it's like an addiction...a responsibility that I just don't feel like giving up. Having said that, your recipes need to be out there for everyone to try out. They are delicious and I am sure inspires many to cook. This one is look mouth watering, Just awesome. I can understand how you feel. I am at this stage too. I can't find the time to write a proper post. I also have pending posts (around 30). But it has reached such a stage where I have to select and rush out those that I feel strongly about. My vietnam (HCM) posts are 6 months overdue as I have yet to find time to do it. Sigh..
Nava, I have the exact thoughts like yours. I also not a full time blogger and there were few times I decided to stop blogging. I have tons of travelogue to blog and now after one and another, almost my travelogues are overdue (still blog about 2012 travelogue when now already 2014). But then, don't stop and try to blog at least once a week. I believe there are still many readers love and support your blog as always.